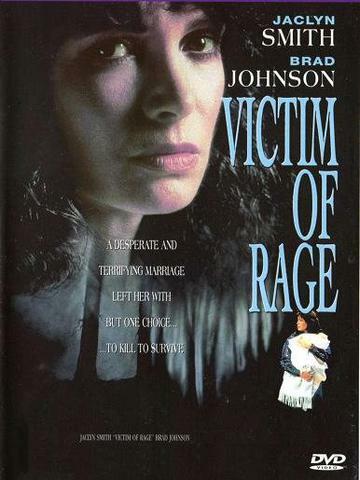 Starring�Jaclyn Smith & Brad Johnson. Donna Yaklich. played by Jaclyn Smith is apprehensively preparing a full meal at a formal dinner table. She hears a car pull in, and then two shots. Rushing outside she discovers her husband face down; in front of their house. He is dead. When Dennis and Donna met, she was impressed with his powerful physique he had been a state bodybuilding champion, his intensity, his devotion to his job as a police officer, and his love of his family. Donna accepts a position as a nanny to Dennis‘s two children and finds herself falling in love. But even as Dennis presses her into accepting his marriage proposal, she is becoming aware of his violent behaviour. Nevertheless, he convinces her to marry him. As the family grows. Dennis becomes more and more dangerous. He is clearly abusing steroids. Dennis exerts more and more control over Donna. Her realisation that she is trapped in a nightmare is made even more chilling by the hints from Dennis‘s step-daughter, Kimberly, that Dennis may have been responsible for the death of her mother, his first wife. Finally, in a dispute over money, Dennis threatens to kill her. She turns to the police, who have no interest in her complaints about a fellow officer. She tries to escape, but he tracks her down. and beats her unmercifully. Donna feels she has no option and begins to plot Dennis’s murder. She hires a hit-man to carry out Dennis‘s murder. She believes her nightmare is now over, when in fact it is only just beginning.